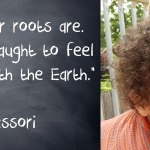 "Our daughter, Kaia, is finishing her third year at Montessori Children's House. The program was highly recommended, by a few families over the years, and their children are thriving in high school now. We believe this school has laid down an excellent foundation for our daughter to grow."